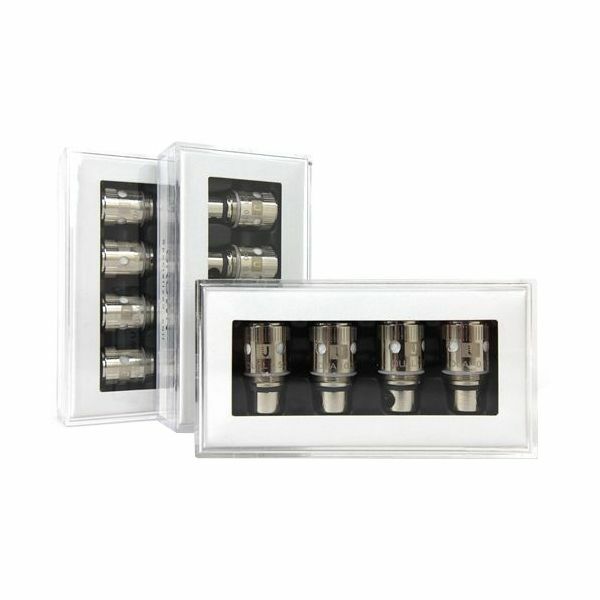 The Uwell Crown Atomizer Coils are authentic replacement atomizer heads for the Uwell Crown Sub Ohm Tank. This coils are wicked with 100% organic Japanese cotton to provide the purest and most flavor packed possible and come in a number of different resistance ratings, each providing a different sensation. The 0.25Ω coil option is wrapped with a kanthal wire for use in VW devices anywhere from 80W-120W while the 0.5 Ω option is also wrapped with kanthal wire, allowing it to be used with only VW devices with a power output ranging anywhere from 30W-80W. The 0.15 Ohm Ni200 Crown coil comes equipped with nickel wire that is designed for use with only temperature control mods.